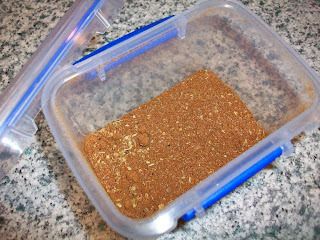 day 168 and i am making some home-made taco seasoning today ... yes home-made, who new you could do that before pinterest! 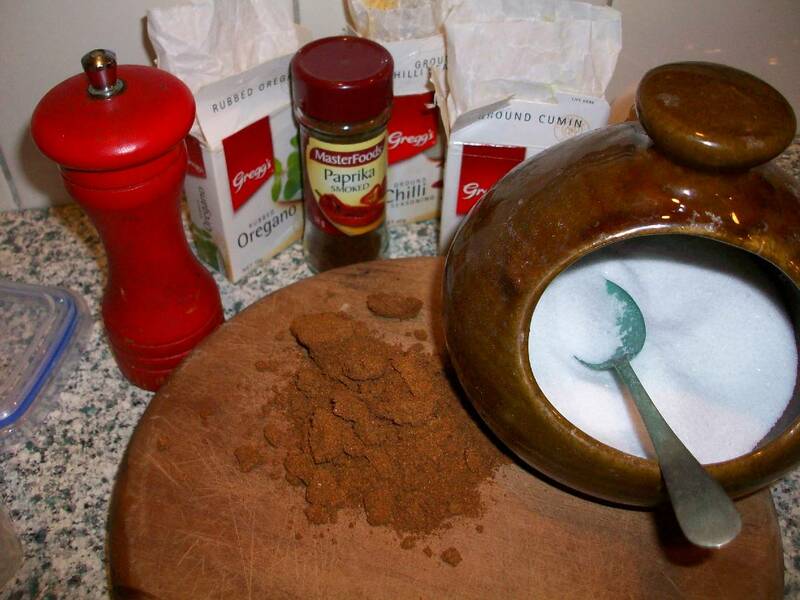 this lovely, and very easy looking recipe comes from maggie at smashed peas and carrots. there are a number of reasons why i am excited about this recipe but mostly because i can control the amount of salt and chilli that that goes into it to suit my family. it was pinned to my recipe must do's board. i got out all the ingredients and then mixed ... and that was it. 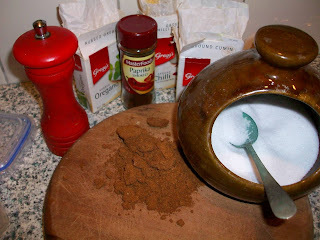 i didn't add in the onion or garlic powder as i use fresh of both in almost every evening meal and prefer the flavour of fresh onion and garlic. the hardest part was finding the lid to the container i chose to keep it in (i really have to sort that horror of a cupboard out). my sincere thanks to maggie at smashed peas and carrots for this taco seasoning recipe. maggie also does lots of crafting and other amazing looking recipes so i of course signed up to join her using google connect! Yum yum yum! I have gotten Luis hooked on Mexican food - he never ate it growing up in the Azores. 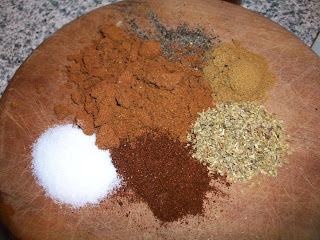 We make all our own seasonings from scratch now - they're so much yummier than the packets! I hear you on the onion and garlic! I'd swap out the chili powder too if I make this. Homemade is always best and what do you know, we have those same plastic containers too!!! We've made this same recipe too (I love Maggie from Smashed Peas and Carrots) :) It's delish! I'm really enjoying your blog, gives me such good ideas.